With the summer holidays here, it’s time to get out and about in that glorious (and unexpected) sunshine! We’ve been researching our top five scooters for day trips, focusing on comfort and ease of movement. More importantly, all of these are under £2,000. Let’s get down to it! This 4mph scooter has an impressive 13 mile range and with easy, one-handed dismantling, it’s perfect for going in and out of car boots. Convenience is key here with a front basket and on/off board charging, making it a breeze to use this scooter for the whole day. Available on our website for just £825 ex VAT. The Minimo is the perfect companion for trips away due its single movement folding action. There’s no need to take this scooter apart to pop it in the boot and it’ll still leave enough space for the picnic due to its compact size. 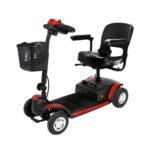 This comfortable scooter features folding armrests as standard and an LED battery warning system – putting your mind at ease. 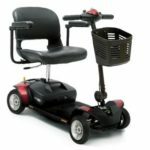 It has a range of up to 10 miles, giving less than the Pride Go Go Elite, but still enough to enjoy your day in pure comfort. This model is currently on sale online for just £1,975.50 ex VAT! This 4mph scooter is easy transportable as it can be broken down in minutes and stored away in the boot of a car. It’s got an impressive 10 mile range, anti-tipping wheels, LED headlights, good ground clearance and armrests – a perfect combination for a day out with the family. Durable rubber foot-mats mean there’s no risk to the body of your scooter, wherever your feet may take you! 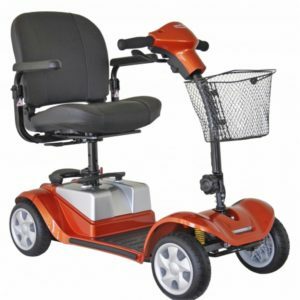 Available at Mobility Solutions for just £799 ex VAT! This scooter prides itself on its ability to tackle different terrains with ease – using dual motors for added traction in rough terrain. With a range of 10 miles on one charge, a decent day out can be had with the Jazzy Zero Turn. It’s so named due to its miniscule turning radius of just 38”! Manoeuvring small places is easy and you can feel comfortable with the stability of four-wheels, rather than three. 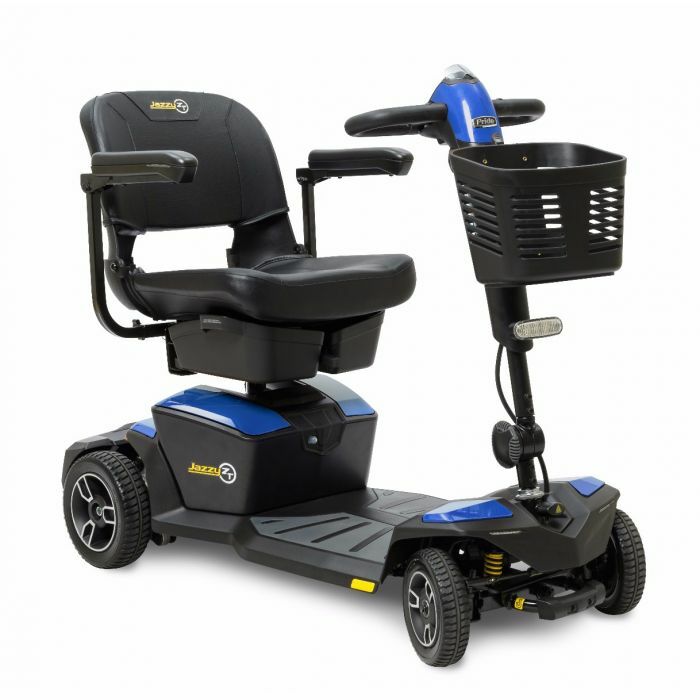 Grab yourself this next-level scooter for just £1,349 ex VAT at Mobility Solutions. Coming in first is Kymco’s excellent travel scooter, the Mini Comfort Deluxe. 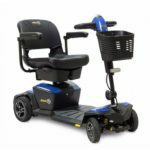 This smart looking scooter has a range of up to a whopping 16 miles and is available for just £1,159 ex VAT on our website! 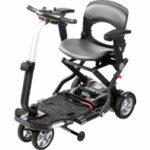 This scooter has a turning circle of just 1220mm, puncture-proof tyres and arm rests – making it perfect for getting around unfamiliar and crowded places in comfort. It boasts front and rear LED lights, putting users’ safety first, without draining the battery. In terms of transportation, it easily splits down into four pieces ensuring a smooth transition from boot to pavement.